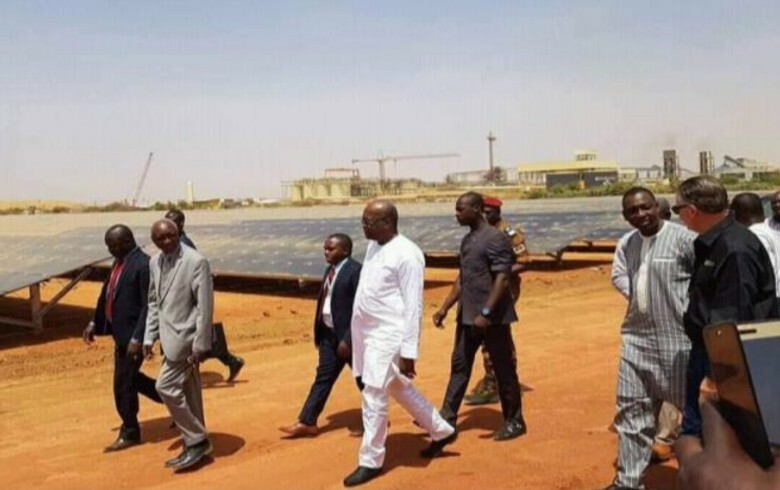 March 20 (Renewables Now) - Total Eren and partner Africa Energy Management Platform (AEMP) on Monday announced the inauguration of a 15-MWp photovoltaic (PV) power plant in Burkina Faso. The solar installation, one of the largest in sub-Saharan Africa, will supply power to the Iamgold Essakane SA gold mine in northern Burkina Faso. It will be added to an existing 57-MW heavy fuel oil power plant at the off-grid mine. The result is the world's largest hybrid solar/thermal plant, according to the announcement. Finnish technology group Wartsila Corp (HEL:WRT1V) was in charge of construction of the solar plant, which was launched 10 months ago. The solar park uses almost 130,000 PV panels. It will reduce the mine's fuel consumption by some 6 million litres (1.6 million gallons) per year and its annual carbon dioxide (CO2) emissions by almost 18,500 tonnes. The opening ceremony was held on March 16 and was attended by Burkina Faso president Roch Marc Christian Kabore. Total Eren executive vice president Fabienne Demol said the project demonstrates the benefits of integrating renewables in the mining industry. "We are looking to replicate this type of hybridisation, especially in Africa where mines cannot always rely on the national grid. Renewable energy coupled with either storage or thermal-based power generation represents a truly viable option for industrial consumers since it enables for competitive, reliable and clean power supply," Demol added in a statement by Wartsila. French energy group Total SA (EPA:FP) recently acquired an indirect 23% stake in Total Eren.